Few days ago, SSC released the list of Tentative Vacancy in SSC CGL 2016. 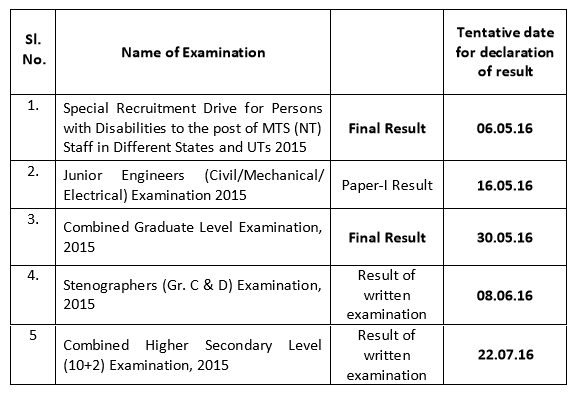 Today, It has released the Tentative Dates of Results of Various Exams conducted by it in year 2015. You can click on below given link to download the official PDF file. The screenshot of the same pdf file is attached below as well. If you are preparing or willing to prepare for SSC CGL Exam and finding it difficult to make strategies, Check our guide on How to Crack SSC CGL in First Attempt?